Hibernian v Rangers: Will it be steak or mince? There’s a basic rule of thumb that wherever competition exists then you have to put effort in to just stand still, to keep your place. To stay ahead you have to adapt, react and put the work in, put more and better work in than those you’re competing against. As soon as you ease off then others will step up and take your place - especially when that place is at the top of the pile. Ibrox Stadium is a football stadium located on the south side of the River Clyde, on Edmiston Drive in the Ibrox district of Glasgow. It is the home ground of Scottish Premier League club Rangers and has an all-seated capacity of 51,082. 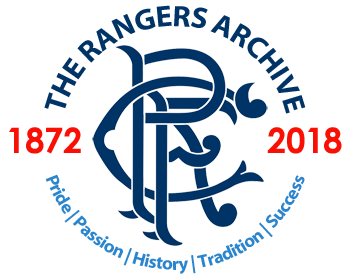 Ibrox is presently the third largest football stadium in Scotland and tenth largest stadium in the United Kingdom. You can view a full gallery of stadium images below this article. From every corner of the world have come visitors to Ibrox Stadium, eager to see the home of The Rangers Football Club. Every week during the season you will find a constant stream of people from every walk of life on the weekly pilgrimage. And when their tour of inspection is over, you will, I have no doubt, hear them say: "It is truly a wonderful stadium - and wasn't the Trophy Room just terrific."